Jonathan Spalter of USTelecom wrote a recent blog calling on Congress to update regulations for the telecom industry. USTelecom is a lobbying arm representing the largest telcos, but which also still surprisingly has a few small telco members. I found the tone of the blog interesting, in that somebody who didn’t know our industry would read the blog and think that the big telcos are suffering under crushing regulation. Nothing could be further from the truth. We currently have an FCC that seems to be completely in the pocket of the big ISPs. 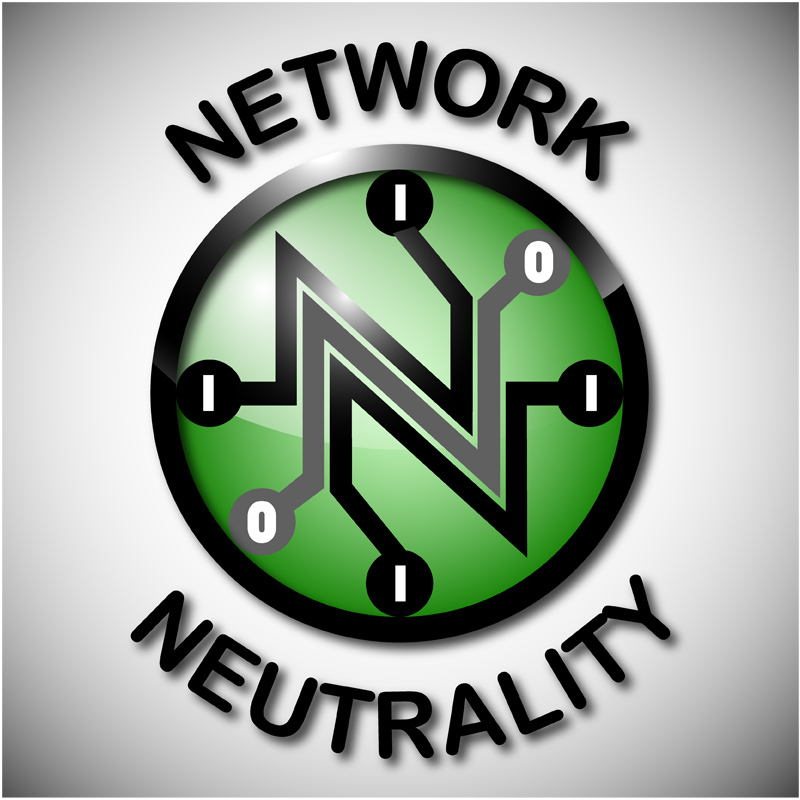 The current FCC walked in the door with the immediate goal to kill net neutrality, and in the process decided to completely deregulate the broadband industry. The American public hasn’t really grasped yet that ISPs are now unfettered to endlessly raise broadband prices and to engage in network practices that benefit the carriers instead of customers. Deregulation of broadband has to be the biggest regulatory giveaway in the history of the country. Spalter goes on to praise the FCC for its recent order on poles that set extremely low rates for wireless pole connections and which lets wireless carriers place devices anywhere in the public rights-of-way. He says that order brought “fairness’ to the pole attachment process when in fact the order was massively unbalanced in favor of cellular companies and squashes any local input or authority over rights-of-ways – something that has always been a local prerogative. It’s ironic to see USTelecom praising fairness for pole attachments when their members have been vehemently trying to stop Google Fiber and others from gaining access to utility poles. To be fair, Spalter isn’t completely wrong and there are regulations that are out of date. Our last major telecom legislation was in 1996, at a time when dial-up Internet access was spreading across the country. The FCC regulatory process relies on rules set by Congress, and since the FCC hasn’t acted since 1996, Spalter accuses Congress of having “a reckless abdication of government responsibility”. I find it amusing that the number one regulation that USTelecom most dislikes is the requirement for the big telcos make their copper wires available to other carriers. That requirement of the Telecommunications Act of 1996 was probably the most important factor in encouraging other companies to compete against the monopoly telephone companies. In the years immediately after the 1996 Act, competitors ordered millions of wholesale unbundled network elements on the telco copper networks. There are still competitors that using the telco copper to provide far better broadband than the telcos are willing to do, so we need to keep these regulations as long as copper remains hanging on poles. I would also venture a guess that the telcos are making more money selling this copper to the competitors than they would make if the competitors went away – the public is walking away from telco DSL in droves. I find it curious that the telcos keep harping on this issue. In terms of the total telco market the sale of unbundled elements is a mere blip on the telco books. This is the equivalent to a whale complaining about a single barnacle on his belly. But the big telcos never miss an opportunty to harp about the issue and have been working hard to eliminate sale of copper to competitors since the passage of the 1996 Act. This is not a real issue for the telcos – they just have never gotten over the fact that they lost a regulatory battle in 1996 and they are still throwing a hissy fit over that loss. The reality is that big telcos are less regulated than ever before. Most states have largely deregulated telephone service. The FCC completely obliterated broadband regulation. While there are still cable TV regulations, the big telcos like AT&T are bypassing those regulations by moving video online. The big telcos have already won the regulatory war. There are always threats of new regulation – but the big telcos always lobby against new rules far in advance to weaken any new regulations. For example, they are currently supporting a watered-down set of privacy rules that won’t afford much protection of customer data. They have voiced support for a watered-down set of net neutrality rules that doesn’t obligate them to change their network practices. It’s unseemly to see USTelecom railing against regulation after the telcos have already been so successful in shedding most regulations. I guess they want to strike while the iron is hot and are hoping to goad Congress and the FCC into finishing the job by killing all remaining regulation. The USTelcom blog is a repeat of the same song and dance they’ve been repeating since I’ve been in the industry – which boils down to, “regulation is bad”. I didn’t buy this story forty years ago and I still don’t buy it today. In a rare joint undertaking involving the big and small telcos, the trade groups USTelecom and NTCA—The Rural Broadband Association sponsored a whitepaper titled, Rural Broadband Economics: A Review of Rural Subsidies. The paper describes why it’s expensive to build broadband networks in rural areas, with high costs mostly driven by low customer density. This is something that is largely universally understood, but this describes the situation for politicians and others who might not be familiar with our industry. The paper goes on to describe how other kinds of public infrastructure – such roads, electric grids, water and natural gas systems – deal with the higher costs in rural areas. Both natural gas and water systems share the same characteristics as cable TV networks in this country and they are rarely constructed in rural areas. Rural customers must use alternatives like wells for water or propane instead of natural gas. The electric grid is the most analogous to the historic telephone network in the country. The government decided that everybody should be connected to the electric grid, and various kinds of government subsidies have been used to help pay for rural electric systems. Where the bigger commercial companies wouldn’t build a number of rural electric cooperatives and municipal electric companies filled the gap. The federal government developed subsidy programs, such as low-cost loans to help construct and maintain the rural electric grids. There was no attempt to create universal electric rates across the country and areas lucky enough to have hydroelectric power have electric rates that are significantly lower than regions with more expensive methods of power generation. Roads are the ultimate example of government subsidies for infrastructure. There are both federal and state fuel taxes used to fund roads. Since most drivers live in urban areas, their fuel taxes heavily subsidize rural roads. Charge higher rates to account for the higher costs of operating in rural areas. This is why small town water rates are often higher than rates in larger towns in the same region. Don’t build the infrastructure since it’s too expensive. This is seen everywhere when cable TV networks, natural gas distribution and water and sewer systems are rarely built outside of towns. Finally, rural infrastructure can be built using subsidies of some kind. Cross-subsidies within the same firm. For example, telephone regulators long ago accepted the idea that businesses rates should be set higher to subsidize residential rates. Cross subsidies between firms. An example would be access rates charged to long distance carriers that were used for many years to subsidize local telephone companies. There are also a number of electric companies that have subsidized the creation of broadband networks using profits from the electric business. Philanthropic donations. This happens to a small extent. For example, I recently heard where Microsoft had contributed money to help build fiber to a small town. Government subsidies. There have been a wide range of these in the telecom industry, with the latest big ones being the CAF II grants that contribute towards building rural broadband. Interestingly the paper doesn’t draw many strong conclusions other than to say that rural broadband will require government subsidies of some kind. It concludes that other kinds of subsidies are not reasonably available. I suspect there are no policy recommendations in the paper because the small and large companies probably have a different vision of rural broadband subsidies. This paper is more generic and serves to define how subsidies function and to compare broadband subsidies to other kinds of infrastructure. The major large ISP lobbyists have asked Congress to block the use of Rural Utility Service (RUS) funding to overbuild areas that have only rudimentary broadband today. The heads of the National Cable & Telecommunications Association, the American Cable Association, USTelecom and the ITTA – the major lobbyists for the big ISPs – wrote a joint letter to the chair of the Senate Agricultural Committee. The letter requests that the upcoming Farm Bill restrict funding from the RUS to be only used for overbuilding to rural areas where at least 90% of homes don’t have access to 10/1 broadband. There are almost no such places left in the country, at least on paper, so this would effectively gut RUS funding from being used to improve rural broadband. In the original CAF II program the FCC gave the big telcos billions of dollars to upgrade a lot of rural areas to speeds of at least 10/1 Mbps. In the upcoming CAF II reverse auction the places that weren’t included in the original CAF II program are slated to get upgrades to the same 10/1 Mbps speed. On paper this means there will be few places that don’t have access to 10/1 Mbps broadband. Even where the telcos have supposedly upgraded to 10/1 there are likely to be large number of homes that don’t even get that rudimentary speed. Unfortunately the big telcos control the rural agenda since they are the ones that report consumer speeds on the broadband maps – and those maps are going to show that the telcos did a good job with upgrades, even when they didn’t. Meanwhile these same big telcos have made it clear that they aren’t going to be investing in rural America. CenturyLink’s new CEO recently said the company was no longer going to invest in infrastructure with low returns, meaning that they won’t be making any more investments in their last mile networks. AT&T and Verizon both have asked the FCC to make it easier for them to walk away from rural copper lines, and both companies are pursuing a fixed cellular solution for providing rural voice and broadband. These giant telcos are not willing to invest in their own networks – but they also don’t want anybody else building there. These companies took billions in free federal money to nudge rural broadband speeds up to a crappy 10/1 Mbps, and they are now basically telling the people that live in these areas that 10/1 Mbps is all of the broadband they will ever need or are ever going to get. The RUS money is largely being used by smaller independent telcos, rural electric cooperatives and Indian tribes that want to invest in better broadband in rural America. A lot of RUS funding is being used to build fiber, the ultimate broadband upgrade. I imagine a number of companies bidding in the CAF II auction are planning on using RUS funding to complete those builds – but if this makes it into the Farm bill that won’t be possible. The only other entities interested in building rural fiber are rural governments. In states where it’s allowed they are looking for broadband solutions for their rural towns and counties and are often willing to make significant investments to make sure that their communities don’t get left behind. Most rural communities don’t want to be ISPs and they are helping to fund public / private partnerships with these same small telcos and electric coops to get better broadband – and those partners often look to the RUS to complete the funding. The big telcos have political smarts and are trying to get this buried into the Farm Bill – something that will inevitably pass. This will allow politicians to vote for this provision while not having gone on record as siding with the big telcos. But make no mistake about it – any politician that supports this idea is choosing the big telcos over their rural constituents. Politicians only need to visit any rural part of their state to understand that broadband is now at the top of the priority list for most rural communities. These communities understand that those places that don’t soon get broadband are going to become economically irrelevant and will eventually wither away. This letter was prompted by the fact that Congress recently awarded $600 million for expansion of rural broadband through the Ray Baum’s Act of 2018 that reauthorized the FCC budget. Those funds will be administered by the RUS. I predicted when that bill was passed that the big telcos would look for a way to make sure that most of that new money goes to them. It looks like I’m right, because if the Farm Bill passes with the requested change, then little or none of the $600 million will be of use to anybody else for building better broadband. I hope that the small telcos and electric cooperatives react promptly and loudly to this proposed bill amendment, because it effectively guts RUS funding. This funding has been used for decades for overbuilding better broadband networks in areas served by the big telcos – and this one change would kill that. I spend a lot of time talking about the ‘rural broadband problem’. But as I look at this lobbying effort I need to start talking about the ‘big telco problem’. All of the rural places that still don’t have good broadband are served by these big telcos. The rest of telcos and other companies that operate in rural America are finding solutions for better rural broadband. These big telcos have refused to reinvest the billions of profits they have made back into rural America and are now trying to make sure that nobody else makes those investments. The big telcos want to milk every last penny they can out of rural America. At the urging of USTelecom, the lobbying arm for the big telcos, the FCC has opened WC Docket No. 18-141 that is seeking to eliminate the requirement for the big telcos to offer unbundled network elements (UNEs) or resale for their products. Comments are due in this docket by June 7, with reply comments due June 22. The requirement for the big telcos to unbundle their networks was one of the primary features of the Telecommunications Act of 1996. The Congress at that time recognized that there was little competition in the telecom market and decided that allowing competitors to resell or use components of the big telco networks would help to jump-start competition. The idea worked and within just a few years there were giant CLECs created that used resale and UNEs to create large competitive telecoms. I recall that at least six different CLECs salespeople visiting the CCG offices located just inside the Washington DC Beltway. Most of those big competitive companies imploded spectacularly in the big telecom collapse in 2000, but there are still numerous companies utilizing the unbundled elements of the big telco networks. Section 271 of the FCC’s rules that lay out the rights for competitors to gain access to poles, ducts, conduits and rights-of-way. There is still a lot of resale of telco products. I know one Northwest rural area where a competitor resells nearly 90% of the rural DSL provided by CenturyLink. This reseller gained the business by knocking on doors and selling DSL to homes that didn’t even know it was available from the telco. In much of rural America the big telcos have almost no employees, no marketing and no customer service and resellers are making big telco products work even where the telcos don’t make any effort. There are still numerous DSL providers that collocate their own DSL electronics in telco central offices and then use the unbundled telco loops to provide decent DSL to customers. These competitors offer newer generation and faster DSL where the telcos are often still only offering slow first generation DSL from twenty years ago. Facility-based fiber overbuilders regularly use unbundled network elements to operate in areas where they have not yet built fiber. Or they use UNEs to serve distant branches of a fiber customer – for instance they might use UNEs to create a private network between locations of a bank with branches in several communities. Any competitor that wants to offer facility-based long distance in a metropolitan market must have a physical connection to the primary big telco switching locations (tandems) in that market. These connections are needed due to requirements that the telcos have forced upon competitors since the 1996 Act to try to make it more expensive to compete. Nobody would build the massive network needed to connect these office just to provide voice and so competitors satisfy this requirement using UNEs. Competitors routinely want to make connections between carriers located at the big telco hubs. They make this happen by buying UNEs that reach between carrier A and B within these hubs (might only require a few feet of fiber). All of these situation, and the many other uses of the resale and UNEs would disappear if the FCC sides with the big telcos. The big telcos set to work to neuter the requirements of the Telecommunications Act of 1996 right after it passed. Over the years they have eliminated many forms of resale. They have made it virtually impossible for a competitor to gain access to their dark fiber. They have routinely made it harder and harder each year for competitors by introducing changes in their contracts with competitors. This forbearance would be a huge victory for the telcos. This would have a huge chilling impact on competition and customer choice. This would mean that the only way to compete with the telcos would be by overbuilding 100% to reach customers and to interconnect networks. Numerous competitive providers would be quickly bankrupted and disappear. Huge numbers of customers, primarily businesses, would lose their vendor of choice as competitive carriers would no longer be able to serve them. This could even kill wholesale VoIP since the underlying carriers providing that service rely heavily within their networks on interconnection UNEs. The big telcos argue that they shouldn’t have to continue to unbundle their networks because these requirements deal mostly with legacy TDM technology. But this is not only copper technology and many of the UNEs used for interconnection are on fiber. And even where this is being done on copper, it makes sense for the FCC to allow competitors to use that copper for as long as it exists. Copper UNEs will die a natural death as the copper disappears, but until then, if a competitor can use that copper better than the telco they should be allowed to do so. Competitors have used UNEs and resale to build thriving businesses that benefit consumers by providing choice and lower prices. Forbearing on resale and UNEs would be another giveaway by the FCC to the big telcos at the expense of competition and customer choice. If you are a small carrier that relies on resale or UNEs you need to file comments in this docket by June 7. They need to hear real life stories of small carriers and the customers you serve, and hear why they should not kill UNEs. You don’t need to be a lawyer to tell the FCC your story, especially not if you have a good story to tell.